Section 1002.33(6)(f)2., F.S., requires a charter school applicant to participate in training provided by the Department of Education after approval of an application but at least 30 calendar days before the first day of classes at the charter school. Training is required for approved applicants only (or those pending approval or are in the process of an appeal). Registration must be completed by Friday, May 3, 2019. * Please note that if the approved applicant is a management company or other nonprofit organization, the charter school principal and the chief financial officer or his or her equivalent must also participate in the training. * A sponsor may not require a high-performing charter school or high-performing charter school system applicant to participate in the training described in this subparagraph more than once. If you have questions about whether you are required to attend this training, please contact your sponsor. 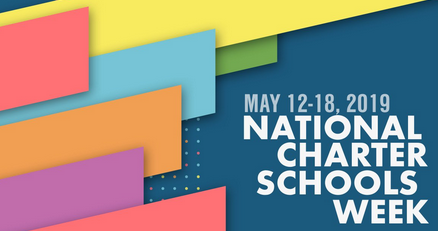 The FCSA will once again recognize Charter School Heroes during National Charter Schools Week 2019, May 12-18. Last year, the Florida Charter School Alliance team visited three charter schools to celebrate their academic success and recognize a number of dedicated educators with Charter School Super Hero Awards. Click here to see a recap of Charter School Events the FCSA hosted in 2018. The FCSA team plans to once again recognize top performing school leaders, outstanding teachers, and parents. But we need your help to identify them. If you know a principal, teacher, parent, or charter school partner that’s made an incredible impact on her/his students or at their charter school, NOMINATE that person to be a 2019 Charter School Hero. Send your nomination to Lynn@flcharteralliance.org by April 30, 2019. Please include the person’s name, name of school, and describe how the person has impacted students and/or the charter school in a positive way. The National Charter Schools Conference is the premiere conference for current and aspiring charter school leaders. This conference is about being part of a movement, learning from the best in the field, and learning from each other. Meeting peers that struggle with the same issues you do—or have solutions to offer you—is an incredible learning experience. The 2019 Conference will be held June 30-July 3 at the Mandalay Bay Conference Center in Las Vegas, Nevada. Click here to see the 2018 highlights! The Florida Charter School Alliance is a proud supporter of the Florida Charter School Conference. 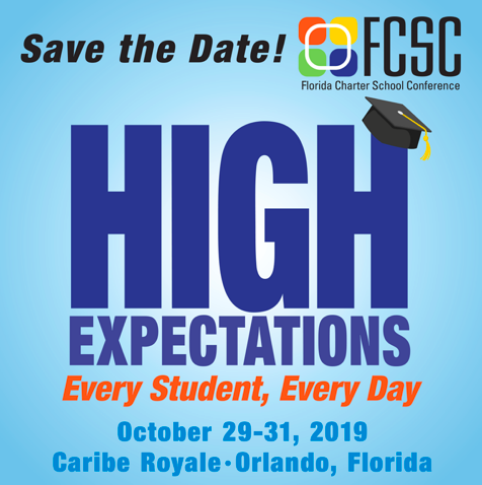 Hosted by the Florida Department of Education, this year’s conference will take place Oct 29-31, 2019 in Orlando.